BlackBerry’s uphill challenge to pull off what Chief Marketing Officer Frank Boulben states as “the greatest comeback in tech history”, has just got another twist: the company has commissioned several ad agencies to run what will be known as “real-time takeovers”. Besides takeover ads on desktop sites, the new aggressive ads will also debut on Android and iOS mobile devices. 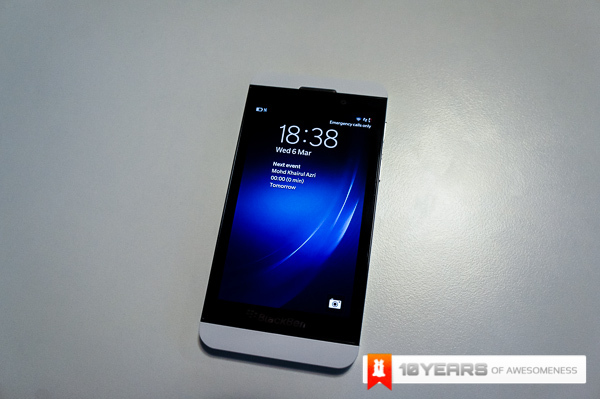 Previously, BlackBerry commissioned takeover ad campaigns on high traffic sites like The Guardian and The New York Times, where the ads will look just like the BlackBerry Hub and other screens on the new BlackBerry 10 platform. Starting this week, these ads will now feature on the mobile sites to US readers, highlighting a specific feature of the new Z10 smartphone, such as Time Shift. In addition, the company will also announce a typing challenge later this quarter. 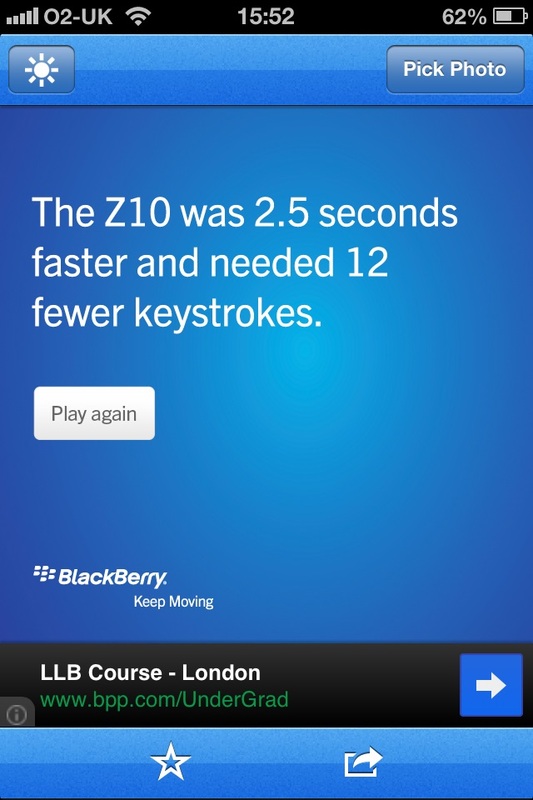 The challenge, which will load when a user scans a QR code that appears on digital and print ads, pits the user against the powerful new keyboard on the Z10.